This is a tutorial for my Spiral Textured Seed Stitch Bag. 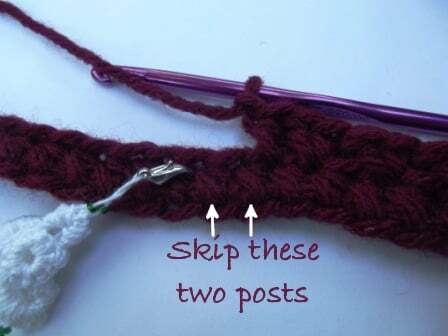 Round 22 is problematic for many readers due to the front post and back post double crochet stitches. 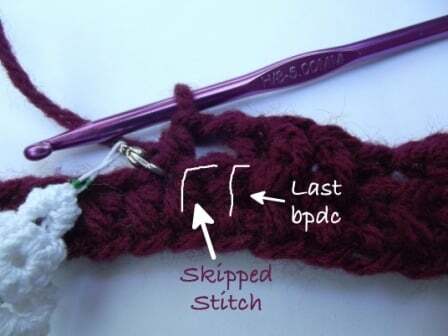 I wrote the pattern to skip one stitch before and after the post stitches, and this photo tutorial shows where to skip the stitches. 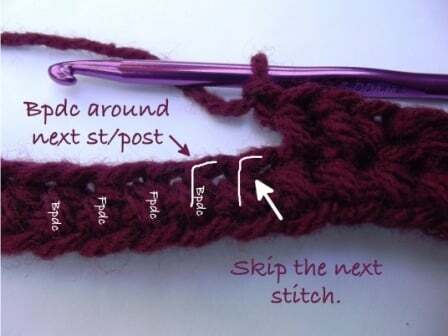 The tricky part is knowing which post goes with which stitch. 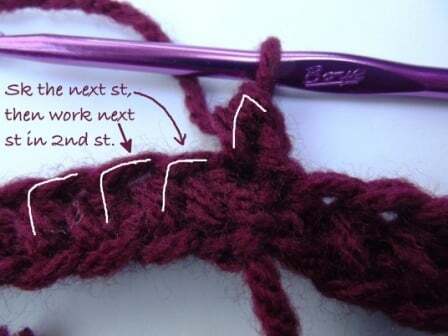 The key point to remember is that if you are working on the right side of the fabric, the post will always be to the left of the stitch; and if working from the wrong side, it will always be to the right. This tutorial is shown from the right side. 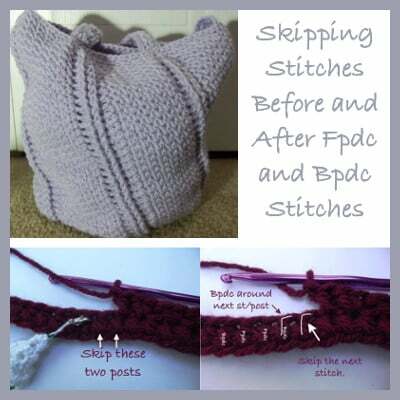 It is created to help with my bag, however, it can help with other patterns as well in regards to the post stitches. Now let’s break it down. The white lines are drawn over the stitch and it’s post to help take the guesswork out. Below you see the skipped stitch. Once all the repeats are done, half double crochet into next stitch. Do not skip a stitch here. Chain 1 and skip the next stitch. 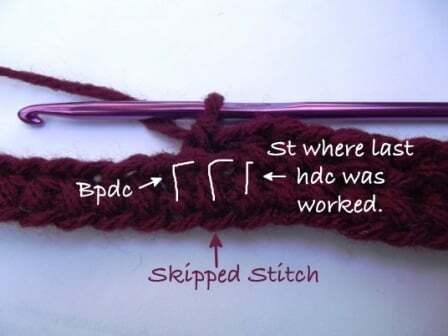 Technically it looks like you’re skipping two stitches, but really you are only skipping one. :) I’m guessing this is the problem area. Back post double crochet in next stitch. Then front post double crochet in next 2 stitches. Back post double crochet in next stitch. Here the first back post double crochet is made, and you can see the skipped stitch in the center. 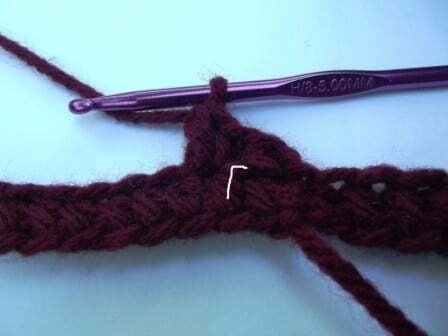 Once the Back and Front post stitches have been made, start working your stitches as normal. 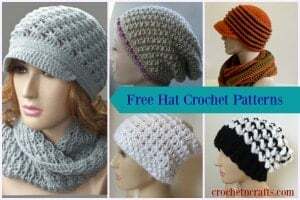 So here you would chain 1, skip the next stitch**, then hdc in next st.
Now you have one repeat done of the stitch pattern. Repeat the pattern from the first * until you get around to the last stitch. 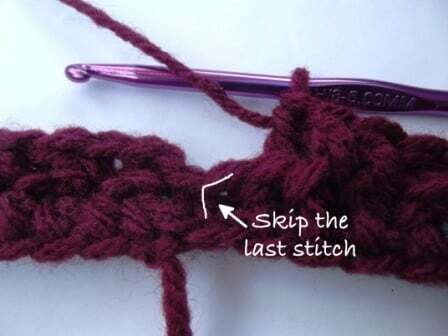 Your stitch pattern should end at the ** and you should have one stitch left over. Chain 1 and skip this last stitch. 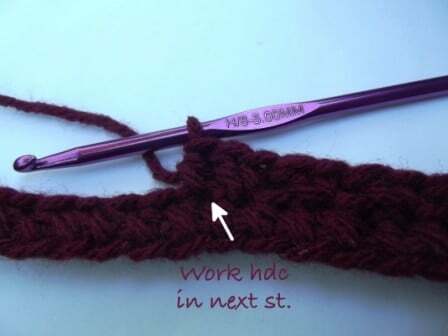 Then join the round with a slip stitch.